Interstate Towing, Inc. is a professionally operated full service towing, recovery and road service company. 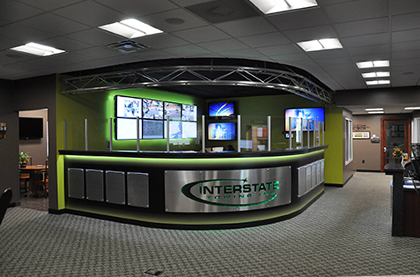 Interstate started from the ground up in 1999 and thanks to our loyal customers has become to what it is today. Interstate Towing has become the foremost towing and recovery provider in the area. The GPS tracked state of the art fleet of new car Carriers, Wreckers, 60 ton rotator cranes, 35 ton, 25 ton heavy wreckers, Low Boy / Landoll flatbeds trailers, tractors, service trucks, air cushion recovery and support vehicles are expertly maintained and ready to respond with highly certified personnel, 24 hours a day. Our business lines and hi-tech call dispatch center directs calls over an MDT (Mobile Data Terminal) in each vehicle. This ensures fast accurate service to our customers. 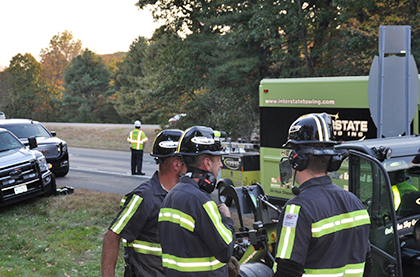 Interstate Towing is proud to be a service provider for AAA in Western/Central Massachusetts, and Northern Connecticut and also operates as the primary towing service for several area police departments and the Massachusetts State Police. 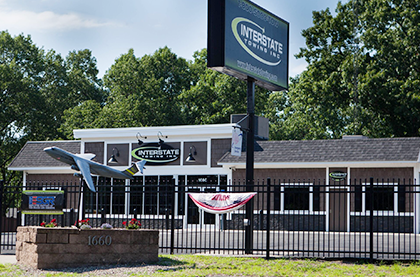 Combined, Interstate Towing serviced over 35,000 vehicles in 2018. Interstate Towing is committed to the community which it serves, as a sponsor to numerous charities and organizations. Our outstanding success would have been unachievable without the support of our dedicated staff of 56 professionally trained, licensed, and uniformed personnel and, of course, our community.